The United States Postal Service (USPS) has long had a rule on the books stating that you cannot use gift cards to purchase money orders. This policy obviously is in place to prevent fraud and those who have less than honest intentions. Most people who buy gift cards to satisfy their spending requirements for credit cards choose to unload certain types of gift cards at the post office due to the low fee and the general acceptance of gift card use. Up until today USPS has been pretty relaxed with their money order rule and has generally allowed for people to buy money orders with gift cards. This is why it’s incredibly important to create a good relationship with any place you get money orders, if they know what you’re doing and know it’s not illegal they will be a little more accepting of giving you money orders. I’ve been able to build a good relationship with my local USPS via this method and they are very friendly when asking for large amounts of money orders. 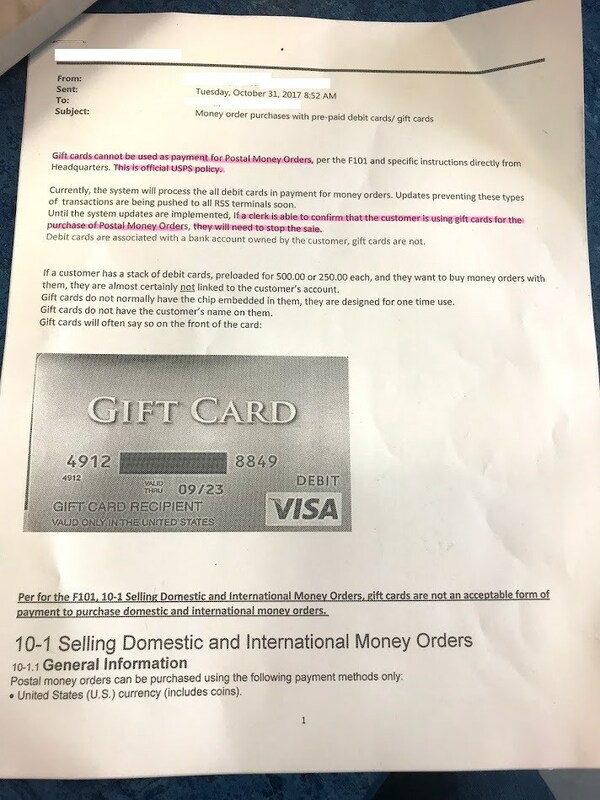 This new memo which was posted by MilesPerDay shows that USPS is going to be making major changes to restrict usage of gift cards for money order purchases. In the memo the sender outlines the existing USPS policy for gift cards and that they are strictly not allowed. But it also alludes that more changes will be coming with their point-of-service computers that will reject gift cards in the future. We also see interesting call outs to look for, including those with “a stack” of debit cards. This circumvents the friendly USPS employees that will allow purchases of money orders with gift cards and will create a hard-line of what you can and can’t do at USPS. 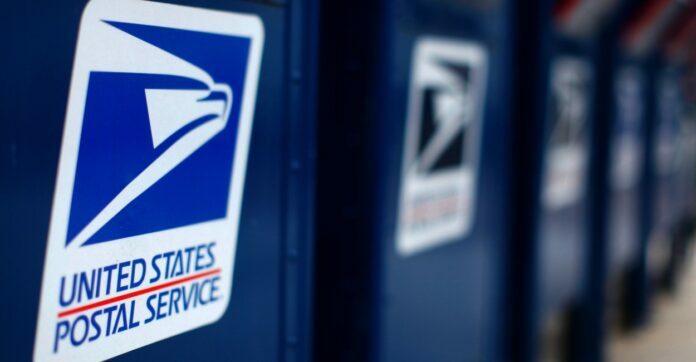 Obviously this new upcoming change will deter those who choose to unload their gift cards at USPS and will send them other places to get them. The memo doesn’t state exactly when this POS change will come into effect but we can only assume they’re currently working on the features and will be released soon. It’s sad that another easy avenue of gift card liquidation is going away, with the abundance of USPS locations it makes it easy to obtain and hit multiple stores if you’re limited by one. For now everything is in the clear and we all know the heavy users will milk the system for as long as they can before it goes away.